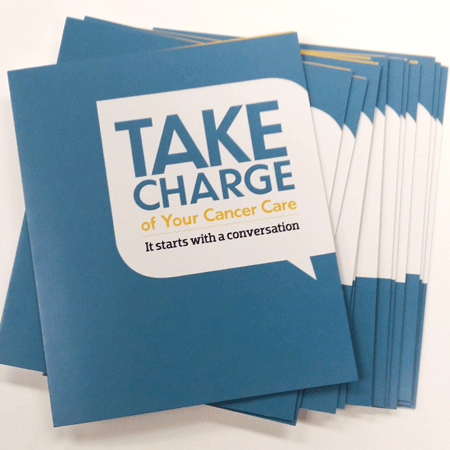 Developed by cancer survivors and health care professionals, this book addresses the need for good communication and provides a list of sound, practical questions you can use when talking with your doctor. 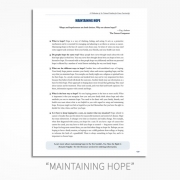 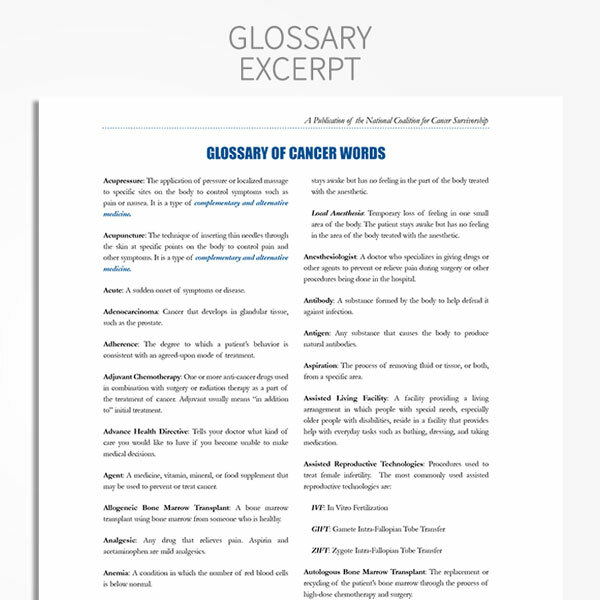 Some topics addressed include cancer care plans, asking questions, biopsies, coping with a diagnosis, making the transition off active treatment, and when treatment options are limited. 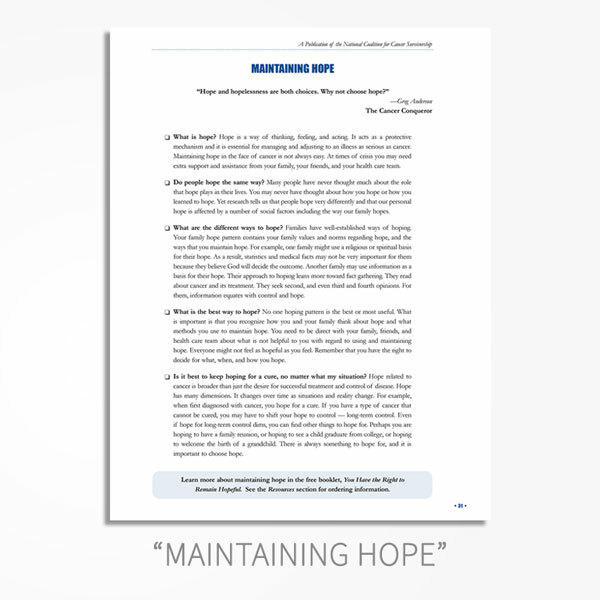 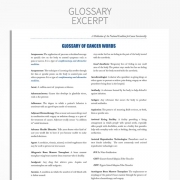 This publication also includes a list of resources and a glossary of cancer and insurance terms. 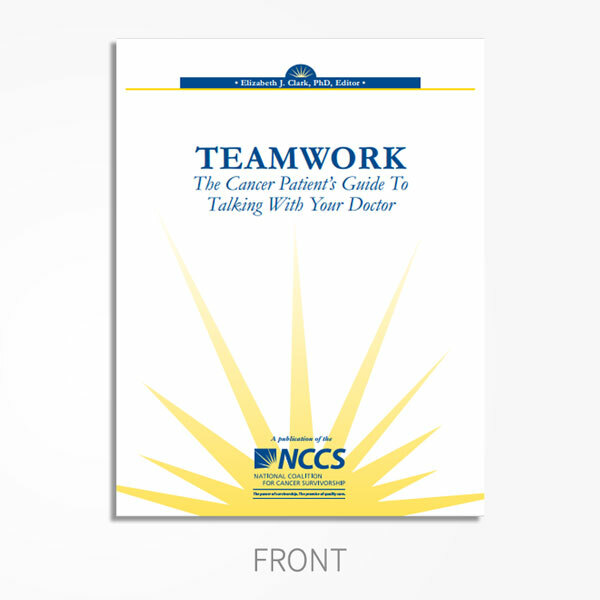 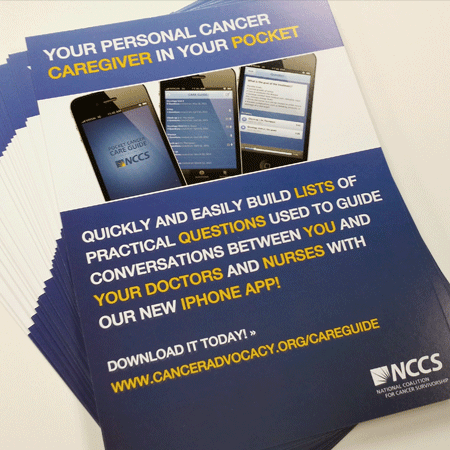 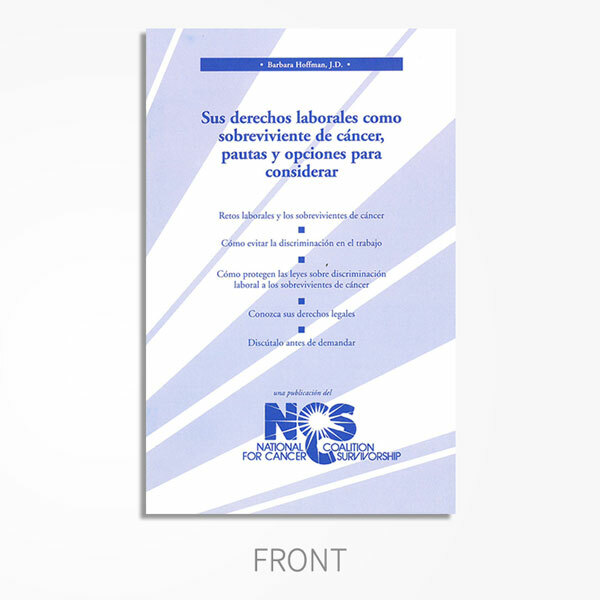 NCCS also offers the free Take Charge Toolkit, another patient tool designed to help talking with your doctor.